The Palestinian Authority has created a “vicious, Jew-hating terrorist culture, ZOA President Morton A. Klein charged Sunday night. 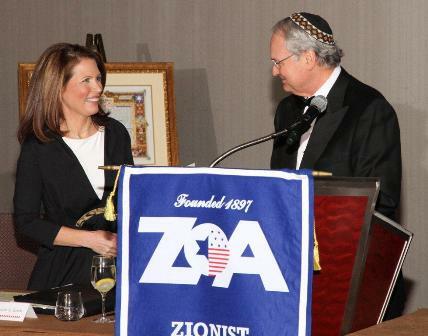 The Palestinian Authority has created a “vicious, Jew-hating terrorist culture, Zionist Organization of America (ZOA) President Morton A. Klein charged Sunday night at the group's annual dinner in New York. Prime Minister Binyamin Netanyahu addressed the crowd by video and praised both the ZOA and Glenn Beck, who received the Defender of Israel award from Sheldon and Miriam Adelson. Klein told Arutz Sheva that he blames Prime Minister Netanyahu and every American and Israeli administration since the failed Oslo Accords for not ”telling the truth," advice which he says he personally conveyed to the Prime Minister. The ZOA president said the Prime Minister's response was that Israel would be blamed for trying to "stop peace." He explained that the Palestinian Authority has blatantly violated its three major commitments – to fight terror, recognize Israel and end incitement. 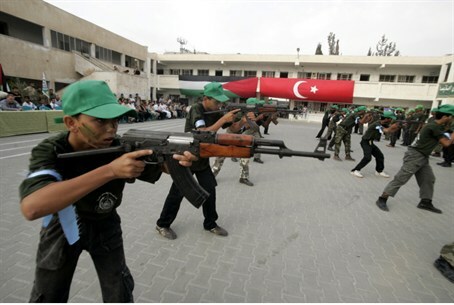 The world ignores the horrors of the Palestinian Authority promoting violence and hatred, showing maps that Israel does not exist, stating no Jews will be allowed in a Palestinian Authority state and naming streets after terrorists." In Prime Minister Netanyahu’s video message, he praised Klein for being a “passionate Zionist” and the ZOA for ”promoting the truth no matter what the consequences are."